Dyno Services feature custom tuning and performance evaluations aboard a dynamometer. Unlock hidden performance, fuel efficiency, and drivability in your vehicle without any knuckle busting modifications. Accurately measure up to 2000 horsepower and torque at 200 mph. Schedule a custom dyno tune or reserve a dyno trailer for any show, grand opening, car event, or for personal trackside diagnostics. You love your car, and you want to take care of it. Taking good care of your car is a crucial step for any car owner, but having a car that is customized sets you apart. Custom fabrication is not an easy task, but AMP Performance is here to help you make your mark through your car. You need a mechanic, and a shop, that you can depend on. AMP Performance is the place you can bring your car and get the piece of mind that you deserve. We specialize in Custom auto fabrication, and if it’s a mechanic who will understand your vision and make it a reality, you need to come in today and request our services. 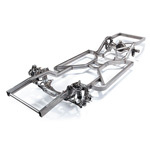 The chassis you choose is the foundation of your vehicle and that is why we offer reliable, durable, high-quality chassis service for your vehicles. We deliver first-rate service and support for our custom chassis customers, offering assistance and a full line of truck services and repairs out of our commercial facilities in Phoenix, Arizona. We have extensive experience servicing all forms of car chassis so your car is in safe hands with us! 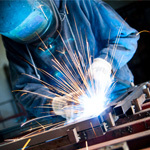 AMP Performance offers you several choices to meet your engine building needs. Regardless of the type of car or the type of racing, the performance and power you crave will be incorporated into producing your engine which will deliver exceptional power and efficiency. AMP can custom build you an engine for performance and for show. We also offer engine customizations that can include superchargers, turbo chargers, Custom exhaust and headers, sheet metal intake manifolds and much more. When we receive a transmission, our job is analyzing why and how it may have failed or how it could perform more efficiently. 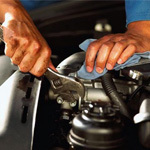 This can result in recommendations for upgrades to specific models or to fine tune the transmission you have. Often we go above and beyond dealer specifications, and that service is only available at AMP Performance. Also, all known factory design deficiencies or weaknesses will be corrected during the remanufacturing process. 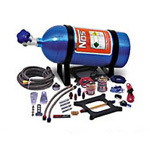 The AMP Performance Refill Station is designed for performance enthusiasts that need refilling of nitrous bottles or racers who use a substantial amount of nitrous oxide. It's safe, easy, and quick; taking only a minute or two to accomplish. Gone are the days of freezing the receiving bottle overnight in order to get a full bottle the next day. Our Refill Station comes complete with the plumbing, hoses, gauge, valve, fittings, and bottle stand necessary to transfill nitrous from a mother cylinder to the receiving bottle instantly. We also offer installation of Nitrous, and on collection you can choose to have the system tuned and set up to your preferences, as well as test drive the car and have the power adjusted to suit your requirements. You also have the option to have one of our team run through the operating procedure to help you familiarise yourself with it, if you'd rather that than read the operator's manual. We all like going fast in our cars, but an accident at the high speeds that most performance vehicles operate at could be terrible, so safety equipment must be added to a race or performance car to minimize the risk of driver injury. 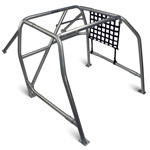 AMP Performance offers roll bar and roll cage fabrication services for your car or truck. 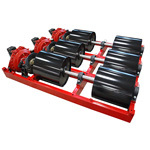 Cages are available for sale on our site and we offer installation in our Phoenix, Arizona facility.